Buying a new mattress is one of the most important investments you can make for your home. A mattress that is ideally suited to your needs will provide you with many years of comfortable and high-quality sleep. Also, it will give you the support that you need to maintain healthy joints and reduce or even eliminate night-time back pain. On the other hand, the wrong mattress can feel uncomfortable and leave you with aches and pains in the morning. With this in mind, you can see that this is a decision not to be taken lightly. Luckily, there are a wide range of makes and models on the market today. This means that everyone can find a mattress to suit their own individual sleeping needs. However, it can be daunting trying to select the right type of mattress for you. It’s highly likely that you will hear about innerspring mattresses while on your hunt for the perfect mattress. Also, chances are that you’ve already slept on a few innerspring mattresses in your time, as they are the most commonly-used mattresses available for sale. An innerspring mattress can be a great choice for some sleepers and provide an excellent and supportive night’s sleep. So, is this the right type of mattress for you? The experts here at SleepReports have compiled a handy buyer’s guide with everything you need to know about innerspring mattresses. 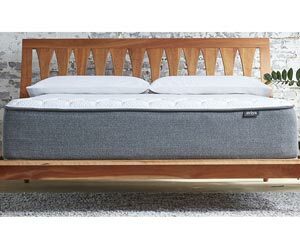 Furthermore, we’ve reviewed our top innerspring mattress picks to give you some much-needed inspiration when you’re shopping for an innerspring mattress. So, read on for a wealth of expert hints and tips! If you don’t have time to read the whole page right now, we suggest you check out the Aviya Mattress Innerspring System. 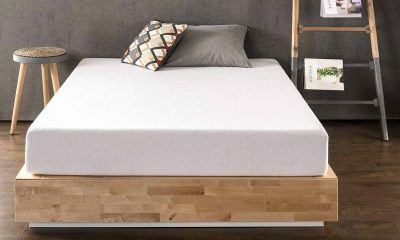 With a supportive Marshall coil system, high-quality materials and range of firmness options, this mattress has earned its place as our absolute favourite innerspring mattress. Hopefully, now you’ve read our handy buyer’s guide, you’ll have a clearer idea of whether an innerspring mattress is the right choice for you. Now it’s time to check out some expert review to find the innerspring mattress of your dreams. 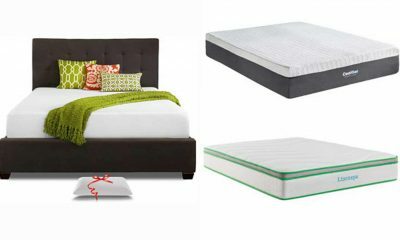 Here are the latest reviews of the 10 best innerspring mattresses. This mattress is a luxurious option that allows you to purchase a high-quality mattress at an affordable price point. This awesome mattress has proved highly popular with both buyers and experts alike and for very good reason. This mattress is pocket sprung, meaning that the coils are wrapped in individual pockets. 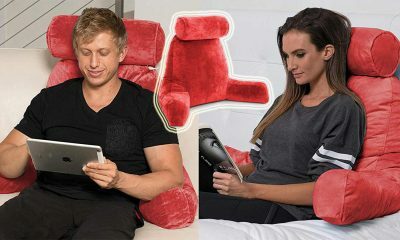 Also, it is upholstered in 3 layers of high-quality foam for excellent comfort. This makes the mattress supportive and helps to limit motion transfer during the night. So, why do we love the Aviya mattress so much? Read on to find out! Marshal coil structure: This coil structure is a real benefit as all the springs work independently of each other. This reduces motion transfer at night, so it could be a great choice if one or both partners tends to toss and turn at night. Also, pocket sprung mattresses tend to wear less quickly than other types of innerspring mattresses. This makes the mattress more durable, providing many years of comfortable sleep. his provides great peace of mind that your bedding is safe and healthy to sleep on. 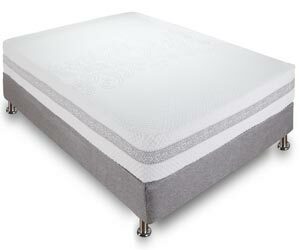 High-quality foam padding: This mattress is upholstered using 3 layers of high-quality foam. Therefore, this makes for a mattress that is extremely comfortable to sleep on. Also, these foams are specially designed to provide excellent support. 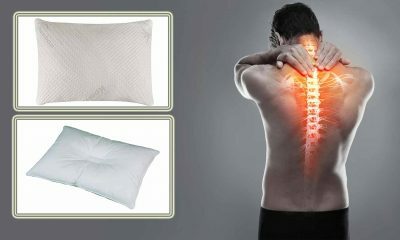 This may be especially useful if you suffer from back pain or aches and pains at night. 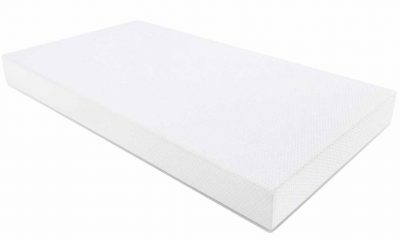 The Signature Sleep mattress is a fantastic choice for those who want to purchase a high-quality pocket-sprung mattress on a very tight budget. Not only are Signature Sleep mattresses extremely affordable, but they are kind to the planet as well. Carrying the prestigious Certi-Pur certification this mattress is made without the use of any harmful substances that could damage the environment or your health. Also, this mattress gives an excellent level of support and comfort, especially given its low price. We think it’s great that Signature Sleep have made a mattress that is both comfy and healthy within realistic financial reach of most buyers. Let’s take a more in-depth look at the key features of this great product. Zoned support: This mattress has a firmer zone of support in the lumbar region. This is a great feature and it’s surprising to see this on such an affordable mattress. Zoned support helps to encourage your spine into a healthier alignment as you sleep, which can significantly help to alleviate lower back pain. Therefore, it’s a great choice for back pain sufferers. Bamboo ticking cover: The cover of the Signature Sleep mattress is made from natural bamboo ticking. 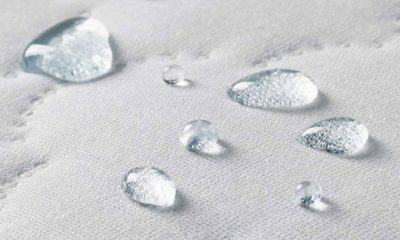 This is a breathable material that helps to wick away moisture and heat as you sleep. Therefore, it helps to keep the temperature of your mattress neutral, so you sleep cooler and more comfortably. This may be of particular benefit if you often find yourself overheating at night. Eco-friendly: Signature Sleep have created a mattress without the use of harmful chemicals that could negatively impact the environment. Therefore, when you purchase this mattress, you are making a responsible and eco-friendly choice. This is reflected in the fact that this mattress has been awarded the Certi-Pur certificate. Therefore, this mattress is also very safe to sleep on as it won’t release any toxins into the air as you slumber. The Night Therapy spring mattress is another great option if you’re looking for a pocket-sprung mattress. 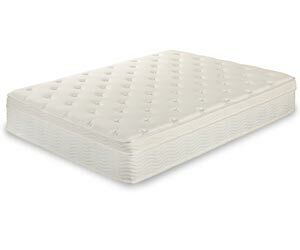 Unlike some spring mattress, it is specially designed to help relieve pressure on the joints as you sleep. 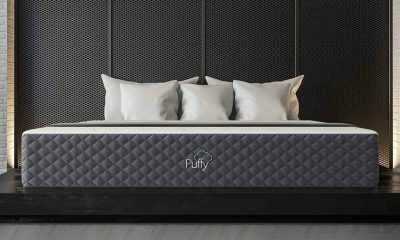 Furthermore, the materials used in this mattress are Certi-Pur certified, meaning that they are extremely safe, healthy and provide a good level of durability. Also, the mattress should suit most sleeping needs and styles. So, is the Night Therapy spring mattress the right choice for you? Read on for our in-depth review. 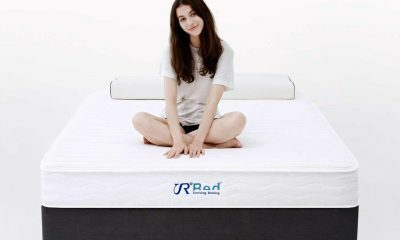 Pressure relief: This mattress has several key features that provide excellent pressure relief. 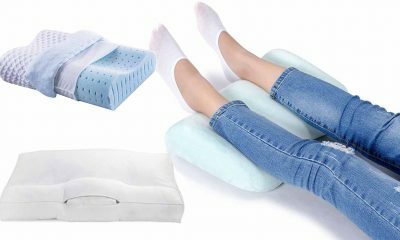 Individually wrapped springs, a box top and high-density foam upholstery all work together to reduce pressure on sensitive joints. This can help to alleviate aches and pains at night and when you wake up in the morning. Therefore, if you suffer from aches and pains or a diagnosed condition like arthritis, this could be a great choice for you. Reduced motion transfer: The Night Therapy spring mattress is specially designed to reduce motion transfer from one side of the bed to the other. Therefore, this should reduce your awareness of your partner’s movements even if they are a very active sleeper. This can hep to reduce disturbance at night and help you to get a more peaceful night’s sleep. Certi-Pur certified: This great product has been awarded the Certi-Pur certification. This is a great feature as it means it does not contain any nasty or potentially harmful chemicals. Therefore, you won’t inhale any gases during the night that could cause damage to your health. As these can also damage the environment, this makes the bed better for the planet as well as your health. 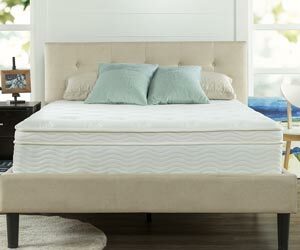 This fantastic hybrid mattress by Classic Brands combines the familiar support of an innerspring mattress with the contouring benefits of gel-infused memory foam. Therefore, it’s a great product to choose if you are interested in trying memory foam but don’t want to fully take the plunge. Classic Brands have a great reputation in the industry for creating high-quality bedding at affordable prices, and this mattress is no exception. With the Certi-Pur certification and providing a great level of comfort, you get a lot of great features for your money when you purchase this mattress. So, is the Classic Brands Engage Gel memory foam mattress worth considering for your bedroom? Read on to find out! 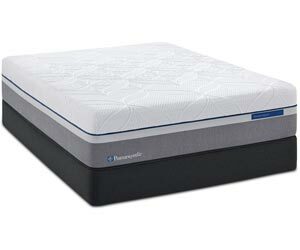 Contouring and pressure relief: This mattress is wrapped in high-quality gel-infused memory foam. This allows the mattress to conform to the individual shape of your body. Not only does this feel extremely comfortable, but it helps to relieve pressure on sensitive joints. The gel foam combined with the pocket sprung innerspring core also provides and excellent level of support and help your spine achieve a healthy alignment. Therefore, this mattress is a great choice for joint and back pain sufferers. Breathable: A common grumble about memory foam is that it can retain heat excessively. This can make sleeping on memory foam mattresses hot and uncomfortable. However, the gel-infused memory foam layer of this mattress is super-breathable and helps to wick away heat. Combined with the superior air circulation that comes with innerspring mattresses, this makes a bed that helps to keep you cool and comfortable. Therefore, this is a great purchase for those that tend to sleep hot. Detailed knitted cover: When you first look at this mattress, you can’t help but notice the beautiful and intricate knitted cover. However, the cover isn’t just easy on the eye. In fact, it’s specially designed to work in tandem with the memory foam beneath. Therefore, the cover actually helps the mattress to contour more effectively to your body. If you’re looking for a firmer mattress, the Beautyrest Recharge Simmons Luxury Firm Pillow Top Mattress may be the perfect choice for you. This is another great hybrid model that combines the benefits of gel-infused memory foam with the supportive qualities of an innerspring core. Simmons have an excellent reputation in the industry and have been in the mattress business since the 19th century. Therefore, over a decade-worth of experience comes together in this mattress, and it really shows. So, why do the experts at Matter Mattress love this mattress so much? Read on to find out! Pressure relief: This awesome mattress is wrapped in a layer of gel-infused memory foam. This material has the ability to contour to your individual shape and relieves pressure on sore, painful joints. Combined with the support of the spring core, this also provides great support for your spine. So, this is a great choice for people with back or joint pain. Sleeps cool: Innerspring mattresses are well-known for helping you keep cool at night. That’s because air can circulate freely inside the body of the mattress. Also, this mattress uses foams with in-built ventilation channels. This allows the foam to be more breathable, dispersing heat effectively during the night. Therefore, this is a handy feature if you often sleep hot. Pillowtop finish: This mattress comes with a luxurious pillow-top finish as standard. This gives an extra touch of luxury and makes the mattress feel more snuggly and cosy to sleep on. This is a particularly handy feature on a firm mattress like this one. This is another great offering from Signature Sleep. The coils in this mattress are individually wrapped, which tends to be more durable and helps to limit motion transfer. The materials used in this mattress are extremely high-quality and come with the Certi-Pur certification. So, you can also be sure that the mattress is not made with any potentially harmful chemicals. Furthermore, this mattress does not require a box spring base, so you can use it on your existing bed frame. We love this mattress because it provides great support and comfort at a price that is reasonably affordable. So, let’s look at this product in a little more detail. Excellent support: This mattress is constructed from a pocket sprung core with a high-density and high-quality foam outer layer. These components work together to give an excellent level of support. Furthermore, the support is zoned which gives you extra support in your lumbar area. Therefore, this helps to align your spine in an optimal position. So, this mattress is a great option if you suffer from pain in your back. Bamboo cover: The cover of this mattress is made from bamboo fibres, so it is extremely breathable. Therefore, this allows heat to escape more effectively while you sleep. This works in combination with the superior air circulation afforded by the coil core to help keep the mattress cool during the night. Therefore, this may be helpful if you sleep hot or live in a very warm or humid climate. Certi-Pur certified: The materials in this mattress have been awarded the Certi-Pur certification. This means that it has been manufactured in a way that is free from harmful and toxic substances. As toxins in your bedding can harm both your health and the environment, this is a major positive in favour of this Signature Sleep mattress. Therefore, you can sleep peacefully knowing that your mattress is safe and healthy for you and your loved-ones. Zinus have an excellent reputation in the mattress industry for creating eco-friendly mattresses which are comfortable and supportive. The Ultima Comfort model combines pocket spring coils with a foam and fibre top layer. Also, it is specially designed to limit motion transfer, so you won’t be bothered by your partner’s movements during the night. Furthermore, the mattress is delivered rolled up, making shipping cheaper and allowing you to transport the mattress upstairs much more easily. So, is the Zinus Ultima Mattress the right choice for you? Read on to find out more. iCoil Technology: This great mattress uses something called iCoil technology to reduce motion transfer. The result is that movements are isolated on each side of the bed. Therefore, you won’t be able to feel your partner moving around so much during the night. This is great news if one of you is a restless sleeper or you toss and turn in the night. Eco-friendly: All Zinus mattresses are manufactured in a way that is respectful to the planet. Therefore, you are making a responsible choice when you purchase any of their products. Therefore, their mattresses have achieved the Certi-Pur certification which verifies that they do not contain any harmful chemicals. Therefore, this also provides extra safety for you as you won’t be inhaling any harmful substances while you sleep. Smart shipping: This mattress is shipped rolled up. Therefore, the overall size of the packaging is smaller than if the mattress were packaged flat. So, this makes it much cheaper to ship. Also, your mattress arriving rolled makes it more convenient to move to the room where you want to use it before you unpack. This is another great mattress from top retailer Classic Brands. This mattress is a hybrid mattress that gives you the great support of an innerspring core with the contouring and pressure relief of gel-infused memory foam. Therefore, this mattress really gives you the best of both worlds. 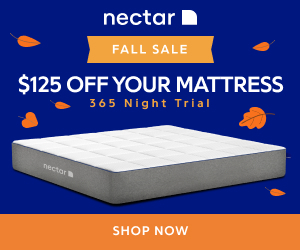 If you want to dip your toe in the world of memory foam without losing the familiar feel of an innerspring, this could be the mattress for you. Even better, the mattress is Certi-Pur certified. Therefore, you can be sure that the mattress is safe and healthy to sleep on. Let’s take a closer look at the Classic Brands Mercer mattress. Pressure relief and support: The gel-infused outer layer of this mattress can contour to your body shape. So, this helps to reduce pressure on your joints and alleviate aches and pains. Meanwhile, the innerspring core provides a great level of that support and provides the familiar bounce of an innerspring bed. These two features together make this mattress a great choice for people who experience joint or back pain. 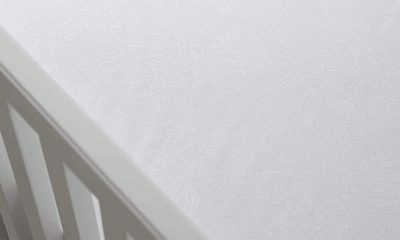 Temperature control: Gel-infused memory foam is better at wicking away body heat during the night than traditional memory foam. Also, the innerspring core has air spaces for air to circulate, which also helps heat to escape during the night. These features combined makes it easier for the mattress to remain temperature neutral. Therefore, this is a great choice for people who find they sleep hot or live in hot areas. Certi-Pur certified: This product is guaranteed by this certification to be free of any potential harmful toxins. Therefore, you can be sure that your sleeping environment is free from any harmful chemicals that could cause damage to your health. This also means that the mattress has less of a negative impact on the environment. The Sealy Posturepedic hybrid mattress is a more luxurious mattress that comes with a higher price tag. However, you do get an excellent quality of mattress for your money. This amazing mattress combines the contouring ability of memory foam with the support of pocket springs. One thing that truly sets this mattress apart is its superior edge support. Therefore, this makes for a mattress that is extremely durable. So, you can expect to get many years of comfortable sleep from your investment. So, why do we love the Sealy Posturepedic mattress so much? Read on for our detailed review. Highly durable: This mattress has edges that are reinforced with high density foam. 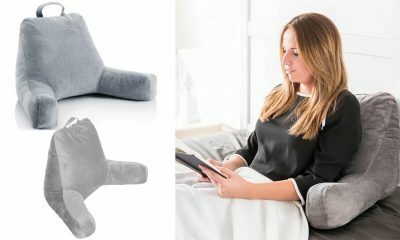 This allows you to sit comfortably on the edge of the mattress and prevents it from losing its shape. Also, the core of the mattress has extra coils to make it longer-lasting. Therefore, this is a mattress that will stand the test of time and give you may years of great sleep. Superior comfort: The innerspring core of this bed provides excellent support to your spine, which can help to reduce night time back pain. Meanwhile, the memory foam outer layer adapts to your body shape. This reduces pressure on the joints and can help to alleviate pain. Therefore, this mattress is highly comfortable to sleep on. Also, it gives relief from back and joint pain while you sleep. Breathable: The fabric cover of the mattress is extremely breathable to help with temperature regulation. Also, the gaps in the innerspring core allow air to circulate freely which helps heat to escape. Therefore, this helps to keep you at a comfortable temperature throughout the night. So, this is an excellent choice for anyone who struggles with overheating at night. The term ‘innerspring’ refers to any mattress that has steel coils in its core. In the centre of the mattress there will be hundreds, or even thousands, of steel springs. Therefore, this provides the support that innerspring mattresses are known for. Also, the core will be upholstered in a padded material to make the mattress comfortable to sleep on. Mattresses vary in the type of material used and we will cover your various options later in the article. Common paddings include polyurethane foam, cotton padding, or even memory foam. Finally, there will be a fabric cover to protect the mattress and create a smooth and comfortable sleeping surface. This could be made of polyester, cotton, or a blend of various fibres. How Are Innerspring Mattresses Made? If you’re considering purchasing an innerspring mattress, you may be wondering how your mattress will be made. There’s quite a lot of variety when it comes to the construction of innerspring mattresses. So, here are the key points that you need to know. 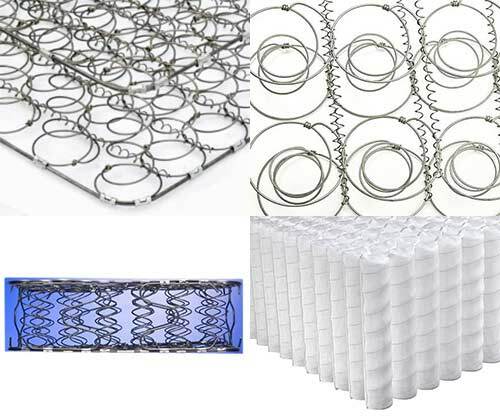 The core of an innerspring mattress is constructed using steel coils (springs). This is what makes the mattress supportive to sleep on. The coils are supported around the edge by a very sturdy wire. There will also be further coils or protective padding around the edge of the mattress. Both these features work together to prevent the mattress from sagging or losing its shape over the course of time. Also, there will be a layer of insulative material surrounding the coils such as a durable net or pad. This will prevent the comfort layer of the mattress from contacting the coils directly. This would both damage the upholstered layer of the mattress and feel lumpy to sleep on. 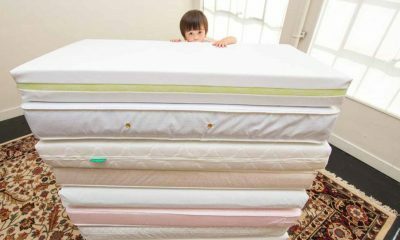 Usually, a mattress will have 300-800 springs. However, there is a great variation in this number and some have over 1000 individual coils. It’s a common misconception that more coils equal a more supportive mattress. 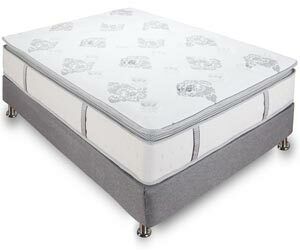 In fact, the way the coils are made has more impact on the overall support of your mattress. The gauge of the coils can give you an indication of how firm the mattress will be. If the coils have a lower gauge, you will need more coils overall to provide enough support. Some mattresses have individually-wrapped coils. So, this allows the mattress to adapt to the shape of your body more effectively. This is particularly important if you sleep on your side, as the mattress needs to conform to the curve of the side of your body to give you adequate support. If you have individually-wrapped coils, they will not be connected to each other. However, unwrapped coils will be supported by special coils called helicals, which connect them together. 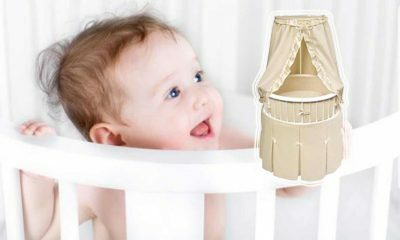 This is vital because it helps to support the individual springs and prevents the mattress from sagging. Therefore, a higher number of helicals improves the overall durability of the mattress. What Different Types of Coils Are Used? Innerspring mattresses have been around for some time. Therefore, there have been various advancements in the types of coil used. The result is that there is now a choice of coil types, and these have their individual advantages and drawbacks. So, what are the main types to look out for? Read on for our quick guide. Otherwise known as Bonnell coils, these hour-glass shaped coils are the type that have been used for the longest in innerspring mattresses. Therefore, they tend to be a little cheaper than other types of spring. Instead of being individually wrapped, they are connected by connective springs known as helicals. The major drawback of these coils is that they tend to lose their shape more quickly. Therefore, you may find that your mattress sags earlier than other innerspring mattresses. With this type, it’s particularly important to flip and rotate your mattress to vary the area of your mattress that you put weight on. This can help to reduce excessive wear of one area of your mattress happening prematurely. This type of coil is a descendant of the open coil. 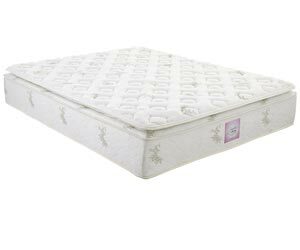 The main difference is that it has a more square-shaped top, which should make it longer-lasting than open coils and helps the mattress to adapt to the shape of your body. Like open coils, they are supported by helicals. This is a major improvement on the traditional open coil. However, you should expect to pay a hefty price for an offset coil mattress. These springs are also referred to as Marshal coils. In this type of mattress, each spring is wrapped individually in fabric and are not connected by helicals. Therefore, a pocket spring mattress can adapt to your body shape more effectively than an open or offset coil structure because the springs work independently of each other. Also, this helps to reduce motion transfer. Therefore, you should be less aware of your partner tossing and turning during the night. However, heavier individuals may find a pocket spring mattress doesn’t provide enough support. This mattress does exactly what it says on the tin. Therefore, the coils are constructed in rows made of one long piece of wire. These are joined together by supportive helicals like in an open coil construction. Therefore, there is less pressure applied to each individual coil, which can make the mattress more durable and prolong the product life. 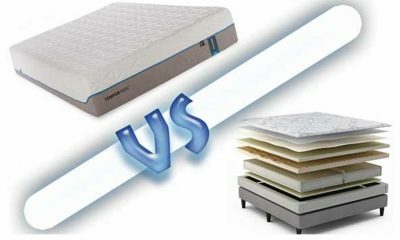 How Do You Choose a Good Innerspring Mattress? When you’re shopping for an innerspring mattress, it’s really important to choose a mattress model that suits your own individual needs. This is because what suits one sleeper will not necessarily suit another.Therefore, there are various factors to take into consideration when you’re purchasing an innerspring mattress including your budget, sleeping position and the level of firmness you require. So, how do you choose the perfect innerspring mattress? Read on for our top tips. The first thing you need to consider when shopping for any type of mattress is your budget. Because this is an important purchase, investing as much as you can afford is a good idea. However, we understand that sometimes you are shopping on a very tight budget. Luckily, you don’t need to spend a fortune nowadays to access a good-quality mattress. So, work out your budget first, and then focus on finding the very best possible mattress for your money. One of the most important factors in choosing a mattress is getting the firmness right. Of course, it’s important to find a mattress that suits your personal sense of comfort. It’s important to feel comfortable to get a good night’s slumber. However, a super-soft mattress may feel comfortable at first but cause aches and pains over time. People with back pain or who sleep on their back or front will probably find a medium-firm to firm mattress will suit them best. Side sleepers may prefer something a little softer. If you and your partner have completely different sleeping styles, then you should opt for a universal comfort mattress. These are designed to accommodate the needs of both sleepers. Another option is to purchase a mattress that allows you to customise it with a different firmness on each side. Therefore, both partners can have the ideal firmness for them. Bear in mind, though, that these types of mattress tend to come with a price tag. For shoppers on a really tight budget, open coil mattresses tend to be the most affordable. However, these can be less durable than other mattresses. However, a pocket sprung mattress can reduce motion transfer and contour more effectively to the curves of your body. Therefore, these are the go-to mattresses for side-sleepers or if one partner moves around a lot during the night. However, heavier sleepers may not get enough support from pocket springs. If you’re plus-size, you should opt for coils that are interconnected with helicals such as a continuous coil mattress. Luckily, by their very nature innerspring mattresses are highly breathable. This is because the air spaces between the coils allow air to circulate, which can help heat to escape. However, if you tend to sleep hot, it’s also a good idea to look for a mattress with a breathable cover. Mattresses with cotton covers tend to be very breathable. When you’re looking at mattress reviews, breathability is a key factor to look out for. A mattress with good edge support will allow you to sleep right to the edge of the mattress and even sit on the edge without it wearing excessively. This will also add to the overall durability of the mattress. Therefore, edge support is an important thing to check out before you commit to a purchase, especially if you like to sit on the edge of your bed or sleep at the edge. There are two factors you need to consider here: how much space you need to sleep comfortably and how much space you have available in your room. If the person or people sleeping in the bed is larger, taller or likes to spread out in bed, it may be worth considering a larger size such as a queen or king. A California king size offers extra length if you are very tall. However, children or teenagers may only need a single mattress. The size of your bedroom will also make a difference. A very large bed in a small bedroom may not provide enough floor space or enough room for your existing furniture. On the other hand, a small bed in a very large bedroom can look out of proportion with the rest of the room. Unfortunately, some mattresses are manufactured using potentially harmful chemicals that can be released into the air as you sleep. This could potentially damage the health of you or your loved ones. 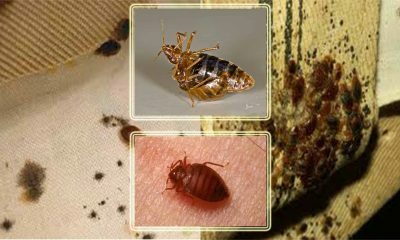 If this is something that concerns you, you can look for particular certifications to verify that your mattress is safe. The Certi-Pur certification rigorously examines products to ensure that they are manufactured without potential toxins. Also, the GREENGUARD certification tests products to ensure that they don’t emit harmful gases into your sleeping environment as you sleep. Both these certifications provide great peace of mind that you are buying a product that’s both safe and protects your health. Ideally, you would be able to go to a bricks-and-mortar store and test out various mattresses before you buy. However, there are some advantages to buying online. 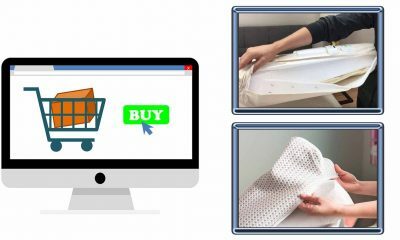 Many online mattress retailers can offer quality products at lower costs because there are less costs involved in selling online. This is where expert reviews are worth their weight in gold. Expert reviewers know what to look out for in a good-quality innerspring mattress and can advise you of the benefits and potential drawbacks of each individual model. 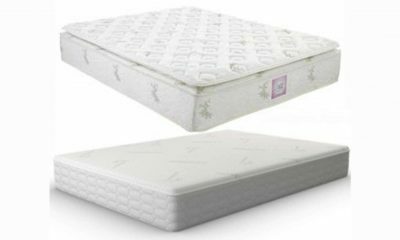 Check out our top ten reviews in this article for innerspring mattresses recommended by our experts right here at Matter Mattress. Before you purchase an innerspring mattress, it’s really important to understand the potential benefits and disadvantages of your potential purchase. This means you will be going into the buying process with your eyes wide open, allowing you to buy the very best mattress for your needs. An innerspring mattress can be a great purchase. However, there are drawbacks to every type of mattress and innersprings are no exception. So, read on for the advantages and drawbacks of innerspring models. Affordability: In general, innerspring mattresses are more affordable than other types such as latex or memory foam. Therefore, if you’re shopping on a tight budget, this can be a major positive in favour of innerspring models. Open coil mattresses are particularly budget-friendly. Familiar feel: Innerspring mattresses are the most common type of mattress around today. Therefore, chances are you are currently sleeping on an innerspring mattress or have done at some point. Therefore, you probably already know if an innerspring mattress feels comfortable to you. 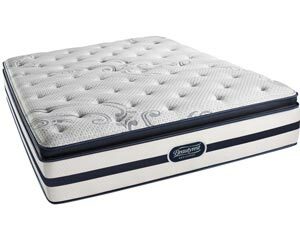 Also, if you’re used to sleeping on an innerspring, you may prefer the familiar feel that coil mattresses provide. Good level of support: The coils of a well-made innerspring mattress give a good level of support. Therefore, they can be a good option if you suffer from back pain. However, like with any mattress, it’s important to make sure that the firmness of the mattress is correct for the position in which you sleep. 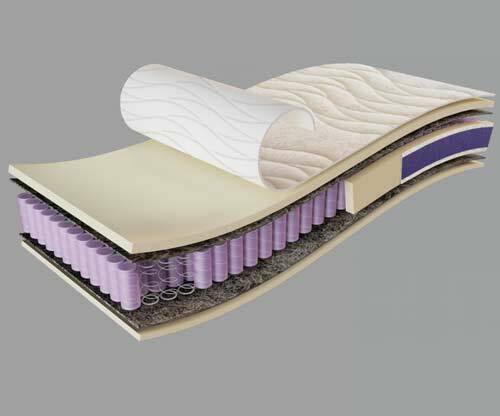 Breathability: Innerspring mattresses have a construction that includes air spaces between the coils. This allows air to circulate more freely throughout the body of the mattress. Therefore, heat can escape more easily during the night, keeping you cool and comfortable. So, if you tend to sleep hot, an innerspring mattress may be a great choice for you. 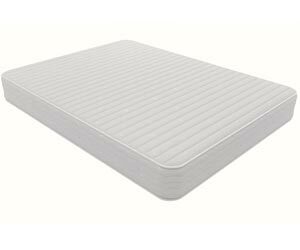 Less durable: Unfortunately, the coils in an innerspring mattress can flatten over time. This can lead to a sagging mattress which is uncomfortable and unsupportive. This is less of an issue on pocket sprung mattresses. To guard against this, you will need to flip and rotate your mattress regularly to avoid excessive wear in one are of the mattress. Also, this can help to prolong your product’s life. Tend to be heavier: In general, innerspring mattresses are heavier than other mattress types. This can make them more difficult to move, flip and rotate. As rotating and flipping an innerspring mattress is vital to keep it in good condition, this may prove to be an issue. You will probably need someone to help you move or flip your mattress. Also, it’s worth looking out for mattresses with built-in handles. These can make it easier to manoeuvre your mattress. Increased motion transfer: In mattresses where the springs are interconnected, movement can be transferred form on side of the bed to the other. This means that you will be more aware of your partner’s movements during the night. Therefore, if one of you tends to fidget or toss and turn at night, this could prove to be a real annoyance. However, the good news is that pocket spring mattresses do not cause such an issue when it comes to motion transfer because the springs act independently of each other. Who is An Ideal Candidate For An Innerspring Mattress? Luckily, innerspring mattresses will suit most people well. People on a budget may find an innerspring mattress particularly suitable because they are more affordable, meaning you can get a better quality of mattress for your money. Also, innerspring mattresses are ideal for people who tend to sleep hot. This is because they have air gaps in their construction, allowing air to circulate and heat to escape. Furthermore, innerspring mattresses can be a good choice for back pain sufferers provided that you select the right level of firmness for you. Are Innerspring Mattresses Good For Your Back? 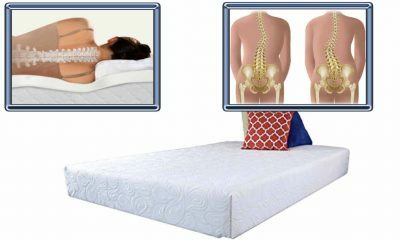 An innerspring mattress can be helpful for back pain if it provides the right level of support. A supportive mattress will encourage your spine into a healthy alignment while you slumber peacefully. Therefore, this can help to reduce and even get rid of your back pain. Therefore, when you’re purchasing a mattress for back pain, you need to make sure the level of firmness is right for you. This is true whether you’re buying an innerspring mattress or any other kind. A mattress that is too soft or firm will not provide the support you need and can lead to increased back pain. As a rule, people who sleep on their backs or fronts will need a firmer mattress. However, side sleepers will need a softer mattress. This is because the side of your body is curved, so you’ll need a mattress that can adapt to your body shape. Side sleepers should consider pocket springs for this reason. It’s worth bearing in mind that some back-pain sufferers find memory foam, gel or latex mattresses better for their back pain. This is because these materials can adapt to the shape of your body more effectively. 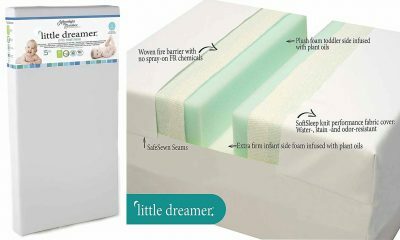 If you still want an innerspring mattress but find foam provides you with some relief, you could consider adding a memory foam, gel or latex mattress topper. 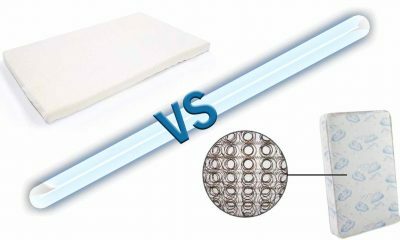 Alternatively, a hybrid mattress that combines one of these materials with an innerspring core may also be a useful option. Who Shouldn’t Use An Innerspring Mattress? If you know that you are going to struggle to move a heavy mattress, an innerspring mattress may not be the ideal choice. That’s because innerspring mattresses require frequent flipping and rotating to stop them from sagging. Also, people who are disturbed by the movement of their partner shouldn’t select a mattress with interconnected springs such as an open-coil mattress. That’s because these types of mattresses are notorious for increased motion transfer, which can quickly become a major irritation and disturb your sleep. However, this can be solved by choosing a pocket-spring mattress. Here at Matter Mattress, our resident experts are often asked questions about innerspring mattresses. Here are some of our most frequently asked questions with our expert answers. How much does an innerspring mattress cost? Innerspring mattresses are generally more affordable than other types, but just like any bed there is a lot of variation. You should be able to pick up a high-quality innerspring mattress for less than $1000, although you may want to spend a bit more on a particular model. How long does an innerspring mattress last? An innerspring mattress can last for around 8 years if you keep it clean and flip/rotate it regularly. However, open coil mattresses ay not last so long. 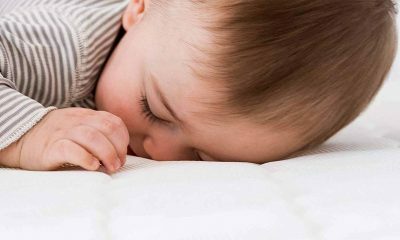 What type of sleeper is best suited to an innerspring mattress? As long as you choose a supportive mattress, most people will enjoy sleeping on an innerspring. Buyers on a budget or those who tend to sleep hot at night may find an innerspring mattress particularly suitable for their needs. Most people find sleeping on an innerspring mattress very comfortable. Also, as most of us sleep on an innerspring mattress already, they can provide a familiar feeling that can be very comforting at night. Like with any mattress, it will only be comfortable if you choose a mattress that is supportive to your individual sleeping style. What does innerspring mean for a mattress? If a mattress is described as innerspring, it means it has a core made of steel coils (springs). These may be interconnected or individually wrapped. If they are individual springs, this is called a pocket spring mattress. It’s these coils that provide the support for the mattress. Do you need a boxspring with an innerspring mattress? Some innerspring mattresses do require a box spring, whereas others just need a stable foundation. You should check your individual model to see if the maker recommends using a box spring base. However, bear in mind that some manufacturers will only honour their warranties if you use their mattresses with their box spring bases. This is an important factor to check out before you buy.